The Supreme Court on November 23 granted liberty to two Bombay High Court judges to adopt procedures to facilitate the auctioning of Sahara's prized Aamby Valley properties, and directed the official liquidator not to allow any obstruction in the process. 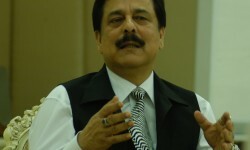 A three-judge SC Bench also warned Sahara Group chief Subrata Roy that it might send him to jail again, following the Securities and Exchange Board of India's (Sebi's) submission that there was confusion with regard to the ownership of some properties in the Aamby Valley. 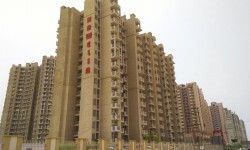 Voicing concern over the plight of 1,350 depositors who were allegedly cheated by Pune-based DSK Builders, the Bombay High Court on November 23 asked the construction firm's owners to furnish a plan or scheme to repay them. A case is registered against the Pune-based company and its promoters for allegedly duping depositors of Rs 189 crore. The Brihanmumbai Municipal Corporation (BMC) has issued stop- work notices to 18 developers executing many housing projects on the civic body's land in the city for failing to deposit the premium amount. "These developers collectively owe Rs 357 crore to the BMC accumulated since May 2012, apart from the 18-per-cent penalty for late payment," the BMC said in a statement.